Sports sponsorship is no longer an act of corporate social responsibility (CSR). It is big business and corporations, in wanting to associate their brand with top sports, especially at international level, will do anything to outdo their competitors in securing sponsorship deals. Sponsors played a huge role in Fifa being rocked by a bribery scandal recently. Former Asian Football Confederation secretary-general Datuk Peter Velappan revealed that the World Cup is very lucrative for potential sponsors. Peter, who worked closely with Fifa and was instrumental in Asia hosting the first World Cup in 2002, when South Korea and Japan were co-hosts, said big bucks and incentives were made available by companies in order to secure sponsorship deals. “Of course, the onus was on the Fifa officials responsible for securing the deals to act honestly, but when huge benefits were put on the table, temptation overrode integrity,” he remarked. But then, the sponsors only wanted to be associated with winners, with sports people who had worldwide appeal and who constantly took their sport to the next level. As to whether sponsors lure potential sports associations with perks in Malaysia, Peter said that he really does not know. It is a fact that of late, sponsorship has been hard to come by in Malaysia, thanks to the current weak economic climate, but it is no secret that big money is still floating around. Although no case of sponsorship ‘deals’ or ‘lures’ to secure rights have surfaced in this country yet, in the wake of a high-ranking official at the Youth and Sports Ministry alleged to have misappropriated some RM100 million, nothing can be ruled out. Anyway, it is the norm for sports associations seeking sponsorship to offer their members anything between 10 and 20 per cent of the cash procured for their time, effort and connection. Event management companies offer similar incentives to anyone who can assist them in raising funds for their events. 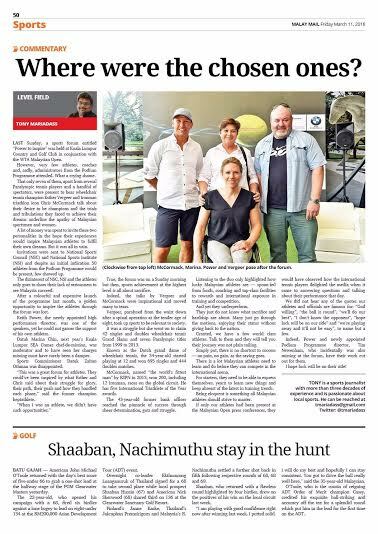 But what surfaced recently was very disturbing - an event’s organiser revealed that he had secured funds for his event through a private company that specialised in sourcing sponsorship. Apparently, this company has links with the GLCs and other government agencies, from which it can get funds for events or projects with much ease. The deal is that the company takes 60% of the funds secured! This is certainly not a healthy way for sponsorship deals to be secured in this country. Cases have also surfaced of officials in high places promising to secure funds and asking for a handout even before the deal is done or sometimes never. Then, we have officials who, after having secured sponsorship, ask the sponsors for more items than what was agreed upon or want ‘goodie bags’ for themselves for sponsored goods. With Malaysia hosting the SEA Games next year, besides government funding, large amounts of money and items are expected to be sourced from the private sector and, hopefully, everything will be done with transparency and with no individuals or groups making it a goldmine for themselves. 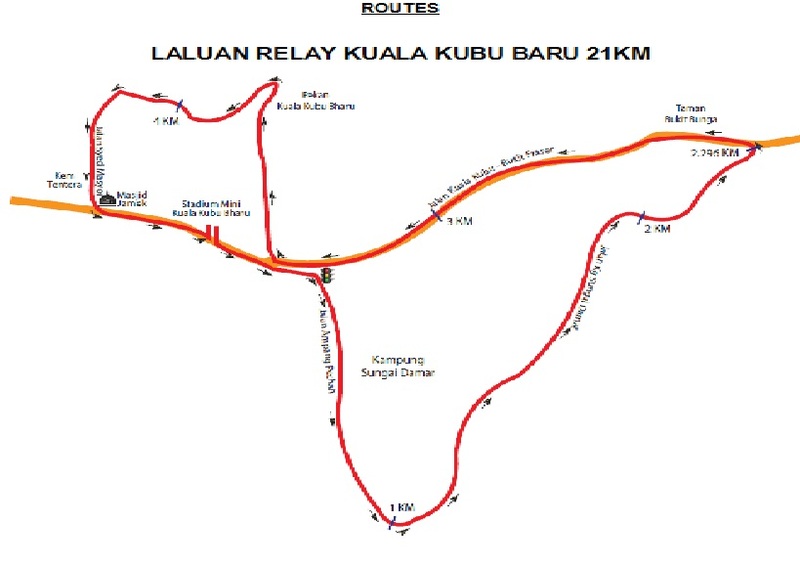 Still fresh on the minds of the public is the 1998 Kuala Lumpur Commonwealth Games, whose accounts took a long time to be closed. The company set up to organise the Games – Sukom 98 Bhd – is said to be in a financial mess. The saga of Sukom 98 came to an end but it left a bitter taste in one's mouth. With Sukom 1998 Bhd now liquidated, the RM20 million allocated as funds by the government have not been accounted for. Above all, the accounts have yet to be made public after all these years. Will the ugly side of sponsorship deals wash up on Malaysian shores to further taint local sports? That's a million-ringgit question. Chance in one’s life plays a big role in charting one’s unexpected journey in life and Leonard Wee Chen Liang is living testimony to it. He had his heart set on becoming a mechanical engineer, but this was not to be. Starting off a swimming life guard before was when fate chose him for teacher’s training in England, and subsequently spend the next 23 years in classrooms. He then joined the Selangor education department for a spell before leaving the world of education for good to become sports executive and public relation manager. Leonard who turned 79 on 21st February, a product of St John’s Institution (for nine years – double promotion twice and left in 1954) grew up in the notorious area of Princess Road (now Jalan Raja Muda Abdul Aziz – near Chow Kit and Kampong Baru) and experienced the tough life from an early age. “I used to wash plates for this chow keow teow after school and at the end of the job, was given a plate of his chow keow teow ,” recalled Leonard of his early days. An active member in school where he was the head librarian, secretary of the school’s drama society, played hockey cricket and football at inter-house level, was a member of the school choir, a Queen’s scout and earned the Royal Life Saving Society bronze medal for life-saving. “I was the only St John’s student who could train at our arch-rival’s school – Victoria Institution (VI) – swimming pool. Leonard after school got a job at Chin Woo Swimming Club as a lifesaver. 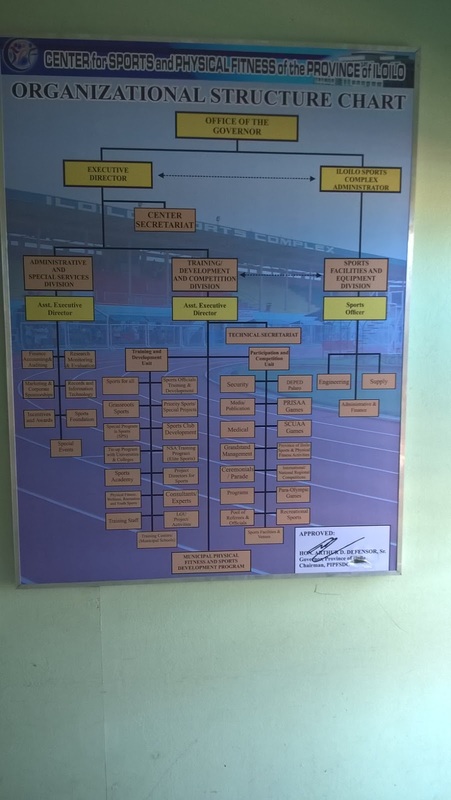 Olympic Council of Malaysia (OCM) assistant secretary, Datuk Sieh Kok Chi is among the many who trained at Chin Woo and Leonard and him as good friends. “I was paid handsomely then, but I worked there for only six months. I had applied for scholarships to further my studies in mechanical engineering which was my favourite and also a teachers’ training in England. “I was caught by surprise when I got a letter that I had secured a place at Malayan Teachers College at Brinsford Lodge for a three year teacher training. I was elated and packed my bags left immediately. Imagine going to England. “With the six hundred dollars provided by the Ministry of Education, I left with this inaugural batch of 150 of us in 1955 which included the likes of Datuk Peter Velappan. “Being on a full scholarship we provided board and lodging and received ten pounds for pocket money. While we saved the money to go hitching hiking around England during our semester breaks, I knew of friends who would send back half of their pocket money back home to their parents. Leonard returned from England at the end of 1958 to be posted to Sekolah Dato’ Abdul Razak, Tanjung Malim (SDAR) a boarding school when he was from January 1958 to July 1971. He had attended the Specialist Teachers’ Training Institute in Cheras for a year in 1861. As an English and physical education teacher he transformed the relatively new SDAR to an iconic school in no time. 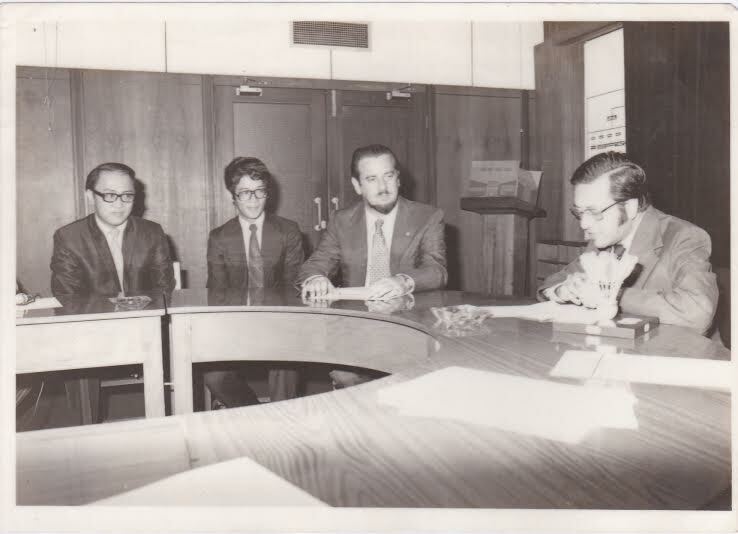 The headmaster at SDAR then (now Datuk Ariffin Nam) wanted to transform the school to be well known entity and Leonard suggested to use sports to make it popular. Leonard soon became the sports secretary of the school and saw his school catapulting in prominence in athletics and he even hosted the Perak Combined Schools athletics meet in 1971. That every year, Leonard was transferred to Selangor Education Department as the physical education supervisor for Selangor where we worked with likes of Datuk A. Vaitilingam and late K. Balachandran. He was appointed the contingent leader of the Selangor schools athletics contingent for the national schools meet hosted by Selangor and the state emerged champions. Leonard used to source for sponsorship for sports in Selangor and it was one of those meetings where he had to meet with Nestle’s advertising manager, Lim Khing Fong, that changed his path from a teacher into different world. 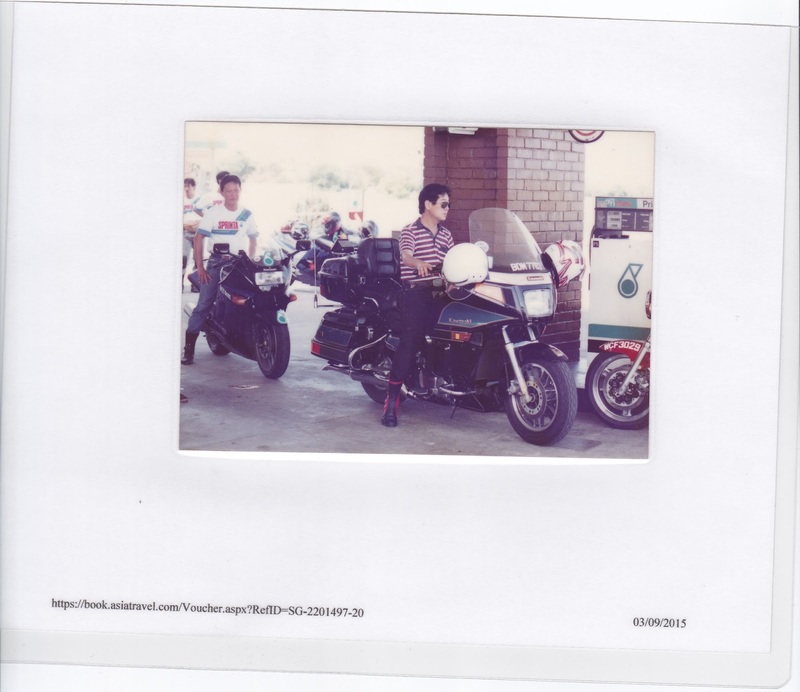 “Mr Lim was a strict man who was a stickler for punctuality. I had an 8am meeting with him and was I there at his office at 7.30am,” recalled Leonard. “When I arrived, I was told that Mr Lim had an important meeting and will see me after that. I waited for a good two hours before he emerged. “I told him that this division which handled sponsorship was important and that someone must always be there to handle the clients. He shot back me and asked me if I wanted the job. “I of course said no and that I was there to seek sponsorship. “And he retorted - I am not joking. Do you want the job? “It was then that it dawned upon me that he was serious. I just told him I will think about it. “And he told me not to take too long. He told me to prepare a paper on how Nestle can market its brand to become a popular brand and gave me a month to come up with the paper. “I presented the paper the very next day to him. After reading it, he asked me he when I can join the company. I told him I need to give a month’s notice. He told he wanted me yesterday and asked if I can join immediately if they paid my one month’s salary to my employers. 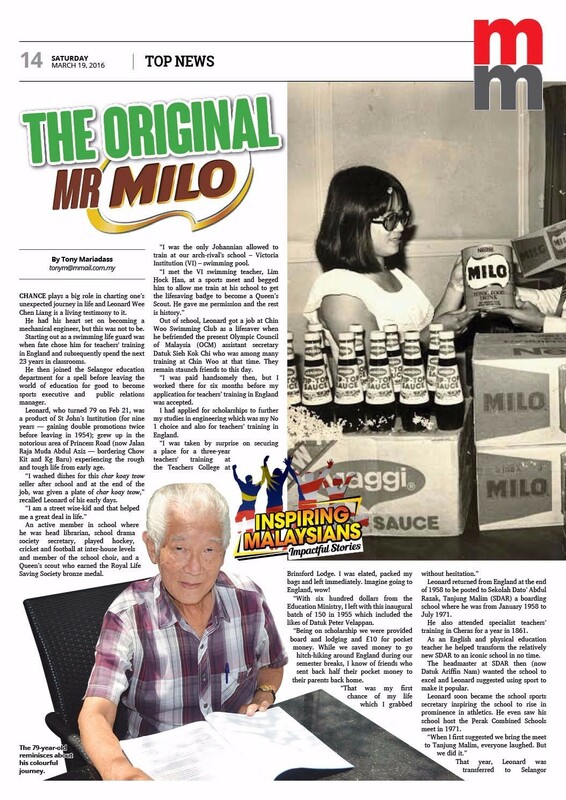 Leonard said his connection with the schools and his many students who had gone through him made his new job easy as he embarked on making Nestle products household names. But everything was going well for Leonard, his boss, Mr Lim called him to his office one day and told him: “I had enough of this. My calls going to you and your calls coming to me. “I told Mr Lim I did not understand what he was saying. It was then that he told me that his name was also Leonard. “I was shocked as I never knew that. Then he told me that there can only be one Leonard. In mind, I thought that it was the last day I was going to be known as Leonard. 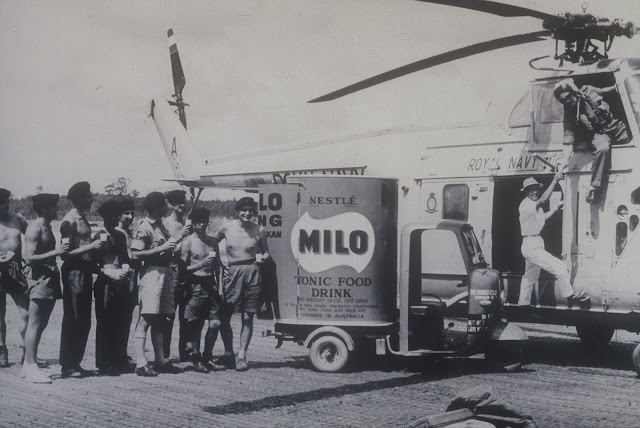 Leonard said he was soon known as Mr Milo for the brand got big into sponsorship and supplying drinks for almost all functions. 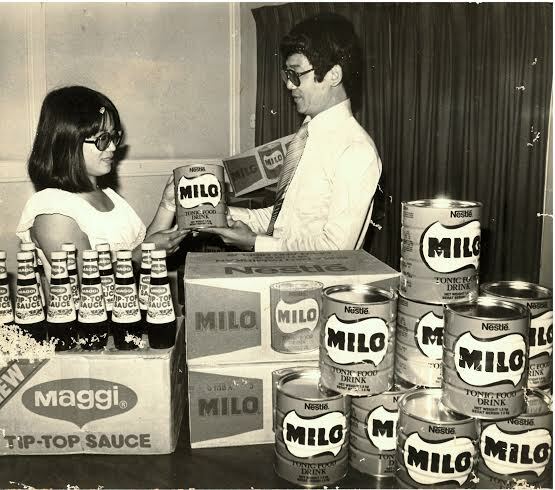 Leonard said Milo was big into sponsorship which included the brining of Manchester United, Boca Juniors and the Danish gymnast team in the early 80s and pioneer sponsors of the Malay Mail Big Walk and a major sponsor of the 1975 World Cup in Kuala Lumpur and bringing the Miss Asia participants for a nationwide tour. 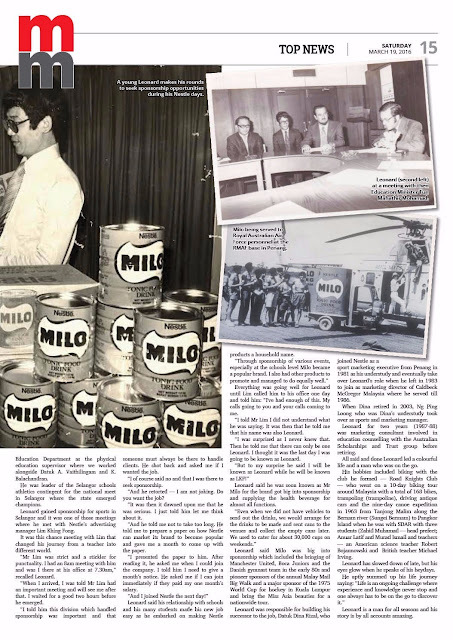 Leonard was responsible for building his successor to the job, Datuk Dina Rizal, who had joined Nestle as a sport marketing executive and he had requested to him to transferred from Penang in 1981 as his understudy and eventually took over Leonard’s role when he left in 1983 to join as the marketing director of Caldbeck McGregor Malaysia when he head hunted where he served till 1986. When Dina retired in 2003, Ng Ping Loong (pix below with Leonard) who was Dina’s understudy took over as the sports and marketing manager. Leonard for two years (1987-88) was involved as a marketing consultant and involved in education counselling with the Australian Scholarships and Trust group before retiring. Indeed Leonard has led a colourful life and a man who was always on the go. His hobbies included biking with the club he formed – Road Knights Club – who went on a ten days around Malaysia biking tour with a total of 168 bikes, trampoling (trampoline), driving antique cars and the nine-day canoe expedition in 1963 from Tanjong Malim along the Bernam river (Sungei Bermam) to Pangkor Island when he was with SDAR with three students (Zahid Muhamad – head prefect; Anuar Latif and Murad Ismail and two teachers – an American science teacher Robert Bojannowski and a British teacher Michael Irving. Leonard has slow done a little these days, but his eyes sparkled as he spoke of his heydays. Leonard is a man for all seasons and his story is by all accounts amazing. Life in the Philippines is not easy for the majority of its people, but when it comes to sport, they forget their misery. To them, it is a form of escapism and an opening to a better life. 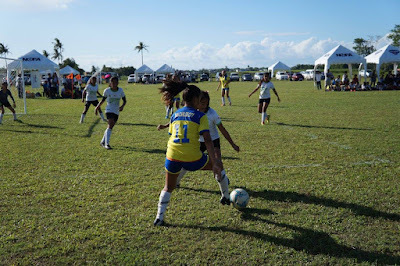 In highly populated countries, sport has always played a key role and it is no different with the Philippines, whose population has surpassed 100 million. Sadly, such countries are usually inflicted by corruption, and their rich get richer while the poor struggle to make ends meet. So, it was heartwarming to see the sincere efforts of the Filipinos to give their children joy through some well-organised sports programmes. On a recent visit to the cities of Bacolod and Iloilo in the Visayas region of the Philippines, I saw first-hand how the local sports officials focused on development. Though basketball is a religion in the Philippines - almost every house, lane and empty space has basketball hoops with both children and adults playing the game day or night - what caught my attention was how serious the Negros Occidental Football Association (NOFA) in Bacolod was about its football development programme. 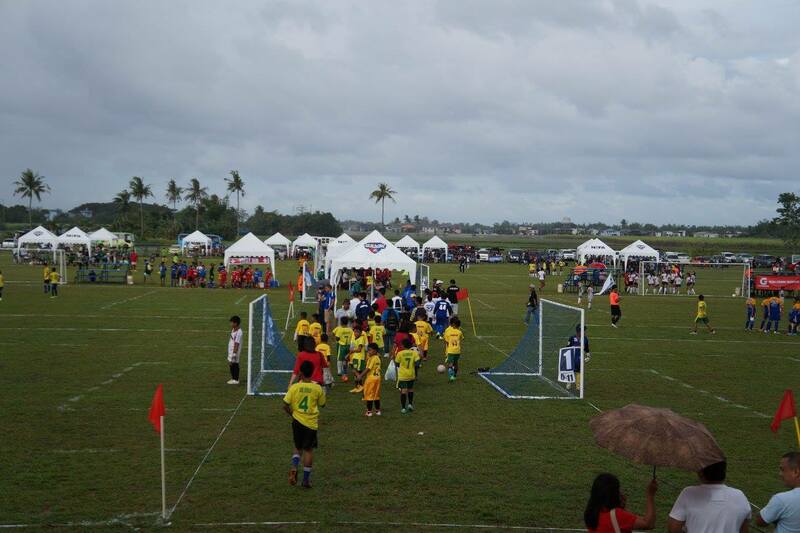 The programme involves 60 school teams from five age groups - Under 11 to Under 17 - comprising both boys and girls. They play over 12 weekends in a league that is organised three times a year, which means 36 weeks with a short break between each league. This also means that these young footballers play all year round in a competitive environment. Into its fourth year, the league has seen the number of participating schools increase each year from the inaugural 18 teams. The teams need an equivalent of only RM1 per player for each block of the league, which is sponsored by NOFA president Ricardo Yanson Jr’s family vehicle, Dynamic Builders. The teams come every weekend from as far as 180km away. The competition is held in Talisay City in a three-acre area that boasts two full-sized fields that are further divided into four smaller fields. It was a delight to see the schools’ coaches, parents and children gather together for the competition in a carnival atmosphere. The three acres come under Dave Javellana, a product of the Fifa Go-for-goal programme, who is passionate about football development. Dave rented the vacant land and converted it into playing fields and works in partnership with NOFA, allowing the use of the space for free. “It’s a long-term programme and we hope to see some of our future national players emerge from it,” said Yanson when met at the weekend tournament. If the state FAs of Malaysia felt the same way and did something similar, they would be contributing greatly to football in the country. 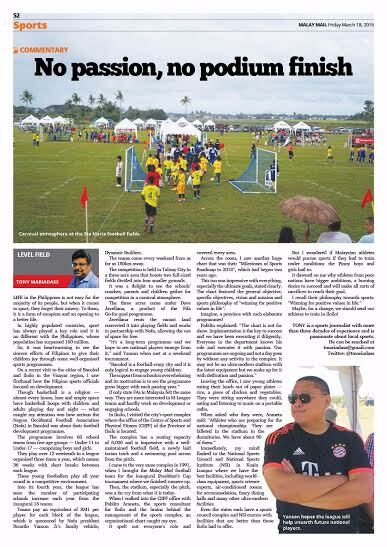 But they are more interested in their M-League teams and hardly work on development or engage the schools. 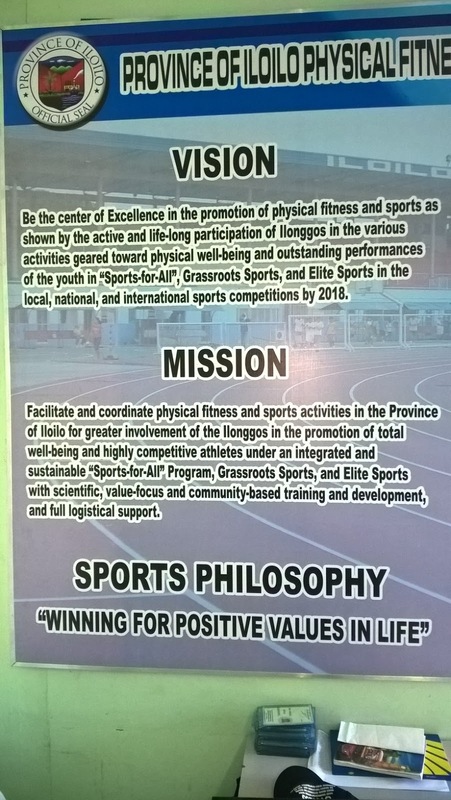 In Iloilo, I visited the city’s sport complex where the office of the Center of Sports and Physical Fitness (CSPF) of the Province of Iloilo is located. The complex has a seating capacity of 8,000 and is impressive with a well- maintained football field, a newly laid tartan track and a swimming pool across from the pitch. I had come to the very same complex in 1991, when I brought the Malay Mail football team for the inaugural President’s Cup football tournament where we finished the runners-up. Then, the stadium, especially the pitch, was a far cry from what it is today. When I walked into the CSPF office with Pablito Araneta, the sports consultant for Iloilo and the brains behind the management of the sports complex, an organisational chart caught my eye. It spelt out everyone’s role clearly and covered every area. Across the room, I saw another huge chart that was their “Milestones of Sports Roadmap to 2018”, which had begun two years ago. This too was impressive with everything, especially the ultimate goals, stated clearly. 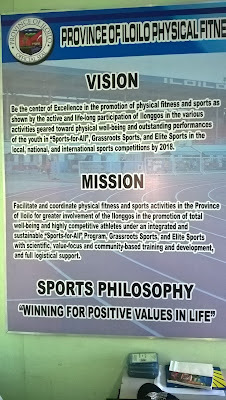 The chart featured the general objective, specific objectives, vision and mission and sports philosophy of “winning for positive values in life”. Imagine, a province with such elaborate programmes! Leaving the office, I saw young athletes eating their lunch out of paper plates -rice, a piece of chicken and vegetables. They were sitting anywhere they could, eating and listening to music on a portable radio. 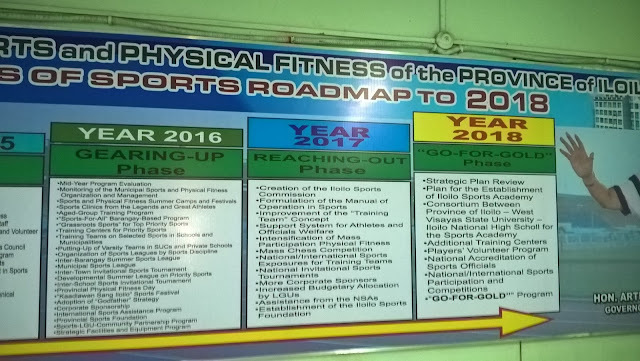 Immediately, my mind flashed back to the National Sports Council and National Sports Institute in Malaysia where we have the best facilities, including world-class equipment, sports science experts, air-conditioned rooms for accommodation, fancy dining halls and many other ultra-modern facilities. 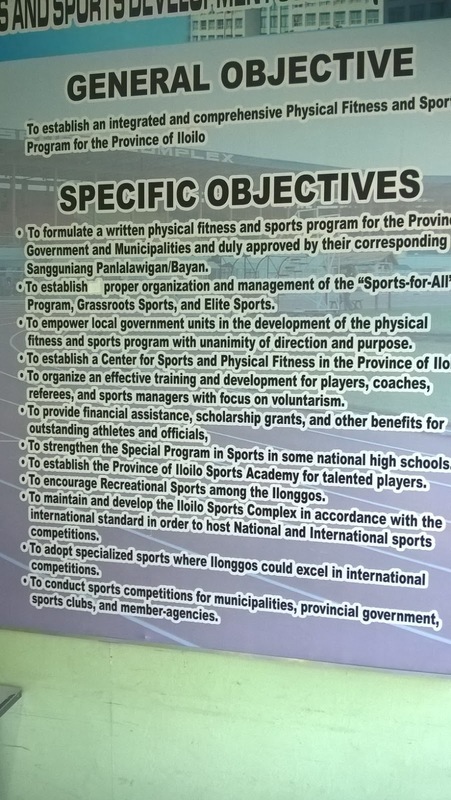 Even the states each have a sports council complex and ISN centres with facilities that are far better than those Iloilo had to offer. 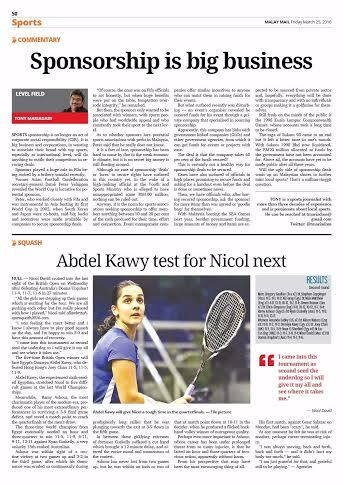 But I wondered if Malaysian athletes would pursue sports if they had to train under the conditions the Pinoy boys and girls had to. Then it dawned on me why athletes from poor nations have bigger ambitions, a burning desire to succeed and will make all sorts of sacrifices to reach the pinnacle of success. 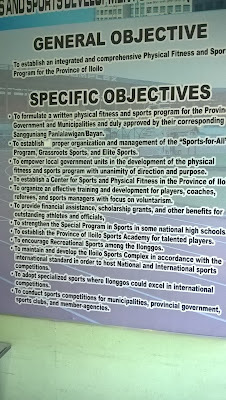 Maybe, for a change, we should send our athletes to train in Iloilo! It is puzzling why FAM have yet to take to task SEA Games Project Under-22 coach, Frank Bernhardt, for announcing that he wants his former assistant, Lars Hopp, as his right-hand man. Previously, Malaysian coaches B. Satianathan and Datuk K. Rajagobal were hauled up under the infamous FAM Rule 88, which says coaches cannot make public statements without the national body’s approval. Satianathan had caused a stir in FAM when he proclaimed that ‘M-League is not football’ while Rajagopal almost got himself into trouble for lamenting about the lack of local strikers in the M-League following a 4-1 defeat to Saudi Arabia in friendly match. Last week, Bernhardt went on local television, without the knowledge of FAM, to announce that he wanted Hopp, a German, to be the assistant coach. Earlier, he had stalled on picking a local assistant coach from four names – P. Maniam, Reduan Abdullah, Azlan Johar and Hassan Sazali Waras – before former Harimau Muda C coach Aminuddin Hussin was appointed as assistant coach. Besides Aminuddin, former Penang and national goalkeeper Megat Amir Faisal was also appointed goalkeeper’s coach to assist Bernhardt. These appointments were announced by the National Sports Council (NSC), which is financing the Under-22 team’s preparations for the KL SEA Games. So, why have FAM allowed Bernhardt to undermine the association's authority? Is it because he is a foreigner? After all, FAM must have clearly spelt out Bernhardt’s terms and conditions of employment, which surely include the clause that he must work with local coaches. Bernhardt should have been hauled over the coals by now for his obvious reluctance to work with local coaches. Besides, there is surely no allocation for a foreign assistant coach for the Under-22 team and for Bernhardt to ask for one is unprofessional. In fact, his appointment as chief coach was questioned from the very beginning when he was selected over former Philippines coach Michael Weiss and Malaysian coach Ong Kim Swee, who was the previous Under-23 coach. Did FAM and NSC make the wrong choice in picking Bernhardt from the 70-odd coaches who had applied? When the selection panel took into consideration his affordability and his familiarity with Malaysian football, they were already compromising on quality. As a player, Bernhardt rose no higher than the third tier in Germany before back surgery ended his career. Coaching gave him a second chance in football and after working with the youth sides at FC St Pauli for six years, he faced a choice between leading a fourth division outfit in Germany or moving to Estonia. Bernhardt went on to coach the Estonian Under-19 team and is credited with guiding the squad to the UEFA Under-19 Championship in 2009 and 2011. He joined the Estonian set-up in 2007 and served as Under-21 coach before leaving in 2012. Even Youth and Sports Minister Khairy Jamaluddin has suggested that Bernhardt pick a local assistant coach for the 2017 SEA Games. 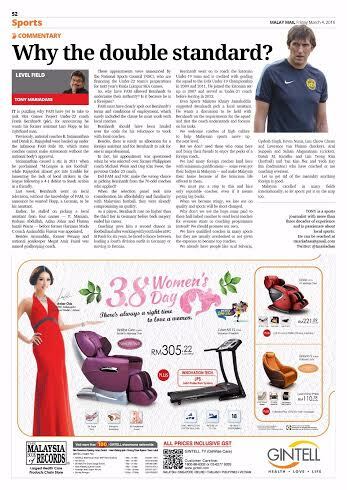 He wants a discussion to be held with Bernhardt on the requirements for the SEA Games squad and that the coach understands and focuses on his tasks of selecting players for the squad. Khairy has also underlined that a local assistant coach is sufficient. We welcome coaches of high calibre to come to our shores to help Malaysian sports move to the next level in the international arena. But we certainly do not need coaches who come here and want to bring their bandwagon of friends and acquaintances to enjoy the perks of being a foreign coach – which Malaysians are very generous with compared with when it comes to the local coaches. We have had many foreign coaches land here with minimum qualifications – some even got their coaching badges here – and make Malaysia their home because of the luxurious life offered to them. We must put a stop to this and hire only reputable coaches, even if it means paying them big bucks. When we become stingy with pay, we will be losing out on quality and sports in the country will be short-changed. Why don't we use the huge sums being paid to these half-baked foreign coaches to send local coaches for overseas stints or coaching programmes instead? We should be promoting our own coaches. We have well-qualified coaches in many sports but they are usually overlooked or not given the exposure to become top coaches. We already have M. Mahendran, Arul Selvaraj, Updesh Singh, Kevin Nunis, Lim Chiow Chuan, Sarjit Singh, Lawrence van Huizen, K.T. Rajan, K. Embaraj (hockey), Arul Suppiah and Suhan Alagaratnam (cricket), Datuk M. Karathu, Ifran Bakti, Lim Teong Kim (football) and Tan Kim Her, Yeoh Kay Bin, Anita Raj Kuar (badminton), to name but a few, who have coached or are coaching overseas. Let us get rid of the mentality that anything foreign is good. Malaysia has excelled in many fields internationally, so let sports put it on the map too.